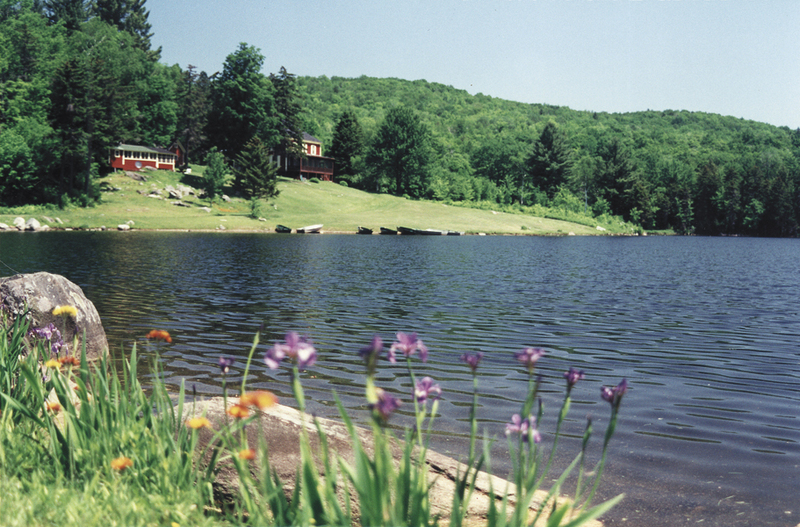 The Meccawe Club is a 118-year-old private trout fishing club in the hills above Bridgewater, Vermont. The historic, six-bedroom Clubhouse has a full kitchen and is available for overnight stays. Our in-residence Club Managers will ensure that your visit is a success. In addition to fishing, the Club maintains several miles of hiking trails on the property. Our hiking page shows you several loop trails and a trail map. In addition, the Quechee/Woodstock/Killington area abounds with great shopping, restaurants, and attractions such as the Vermont Institute of Natural Science. The Hanover/Dartmouth College area is only 45 minutes away. Our members from Massachusetts and other nearby states often use the club for long weekends. You are welcome to visit the club and see the facilities. Please call ahead to schedule a time, and we will arrange for the Club Manager or a member to meet you and show you around. Our contact page will give you a couple of ways you can reach us. The Meccawe Club is located in Reading, Vermont, off of US Route 4, from the town of Bridgewater. It is about a 45-minute drive from both White River Junction and Rutland. Go up Curtis Hollow Road (in back of the Bridgewater Mill Mall), turn right on Meccawe Road, and follow it to the end.